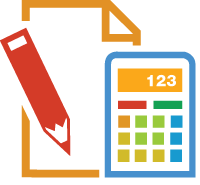 Send quick estimates, follow & revise them and convert to order/invoice in a click. 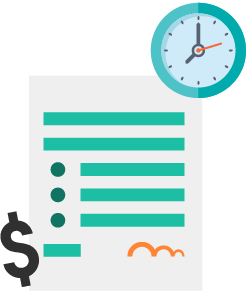 Send quick proposals / quotes / estimates with chain revisions, schedule user wise follow up reminders on calendar/via sms/via email, 1 click convert to sales order / invoice, analyze over dues / rejections / cancellations and make necessary corrections to generate more revenue. MaxxERP has a very simple quotation & estimates generation system which is the need of every business today. MaxxERP helps you quickly close the deals and convert potential estimates to customers. An in-built follow up reminder system ensures you do not miss/delay even a single communication. With 1 click quotation revision feature, keep track of the complete chain of rates and terms revised linked with one another. Once a quotation/estimate is approved, convert it to an Order / Invoice in 1 click. Rejection analysis helps you determine the reasons and make necessary corrections to generate more business. MaxxERP is a beautiful online Quotation & Estimates management software. Its very simple & easy to use Quotes & Estimates software over the cloud. Being a Web based Quotes & Estimates software makes it accessible anywhere over internet. MaxxERP is the best Quoting & Estimating software system that can be used on Desktop, Web and Mobile. Manage your business Quotation & Estimates related operations with Complete Clarity. MaxxERP is a secured online Estimation And Quoting application on cloud for small businesses too. Manage And Prepare Quotations With Ease. Send quotes & estimates along with due dates and auto generate follow up reminders. One click quotation revision option. Option to convert partial/complete quotation to order/invoice in 1 click. Track pending quotation which is not converted to Order/Invoice yet. Quotes and estimates revision chain history tracking with different terms and rates. Quotation Rejection / Cancellation analysis Reports.